Nestled on a gently sloping knoll on the north edge of Yountville, Ghost Block vineyard is named in honor of the historic Pioneer Cemetery for which it borders. According to local lore George C. Yount; who was the first person to plant a grapevine in the Valley, wanders the hillside overseeing the vast spectrum of an industry he himself founded on this very land. 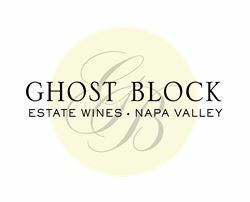 Ghost Block is our premier Cabernet Sauvignon and Sauvignon Blanc expressing the very best from our estate vineyards. Production is limited, always based on our very best fruit. The Tasting Room at Napa Wine Company is host to 24 alternating proprietors. Located on the corner of Highway 29 and Oakville Crossroad, is a place where some of most sought after wines are made. The Tasting Room at Napa Wine Company can best be described as a launching pad for some of Napa's most notable cult wines and celebrity winemakers. The room offers you the chance to experience what the Napa community already embraces, that great fruit and fantastic winemakers make collectable wine. In our case these extraordinary wines are available to you all from one location. To join the wine club, visit www.napawineco.com or call 707-944-4466. Everyone seems to be joining Wine Clubs these days. Ours is a bit different – we only represent wineries that make their wine at the renowned Napa Wine Company. These small producers are intimately involved with our Tasting Room. Please remember that we only choose over twenty wineries at any given time to be involved with our Wine Club. Our Wine Clubs offer members new releases of some of Napa Valley's most coveted wines. 4 times a year, two or three wines** selected by our staff. Invitations to the Spring Fling and Harvest Celebrations on your behalf. Complimentary Tasting in the Tasting Room for 4 people. 10% discount off selected wine and all gifts purchased in the Tasting Room. Your wine will be billed to your Visa, Mastercard or American Express card with no additional paperwork. Charges will vary with each shipment. Ship to a business if at all possible. Adult signature will be required upon delivery. Cancellation of this program may be made after you have accepted two shipments. Safe delivery of wines is of course guaranteed.